Description We estimate this scroll was painted over 30 years ago. There are some stains at the top of the mounting. There are faint spots to some extent on the drawing part. 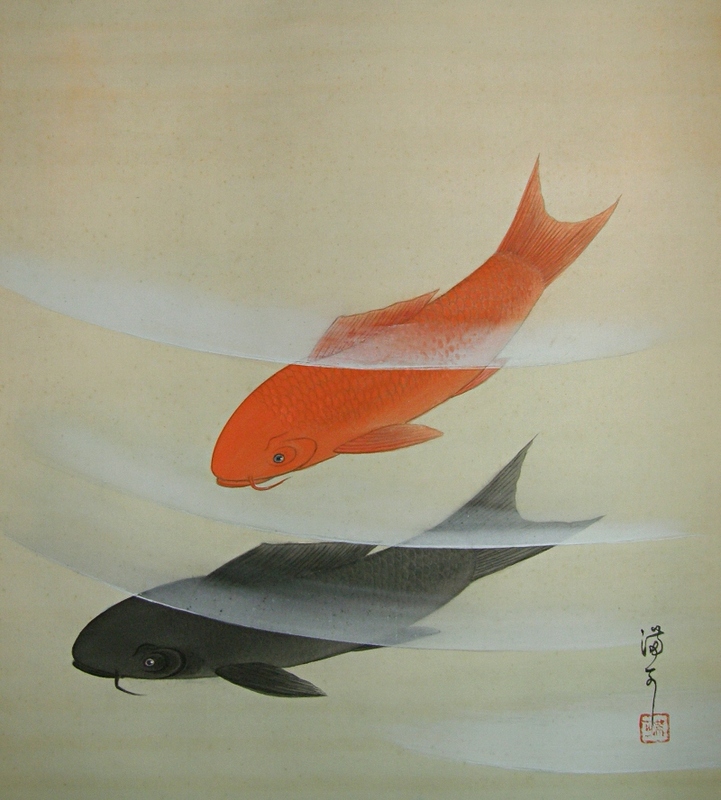 A Japanese carp couple (Koi fish) is painted well. 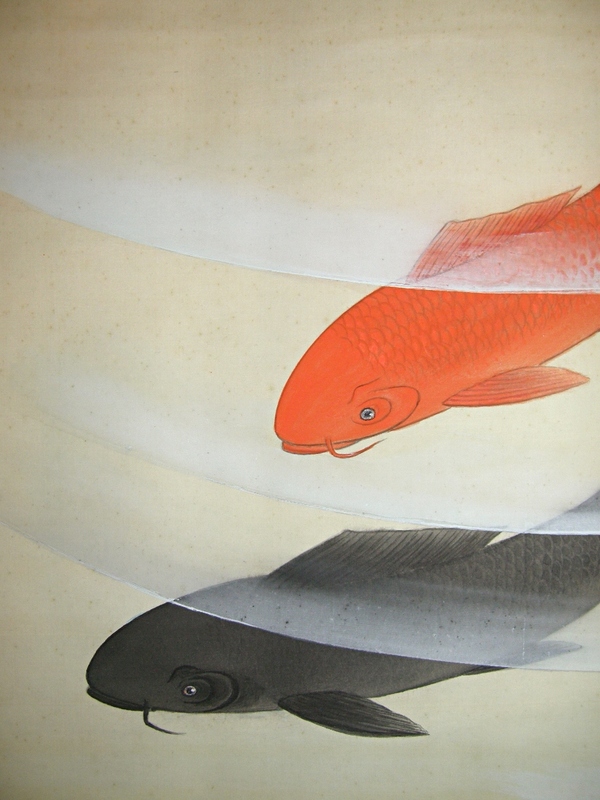 Koi fish is considered as a fortunate creature in Japan. A scroll which is painted a couple of carp will fulfill a harmony and safety of the family, bonds of marriage and health of thier children.